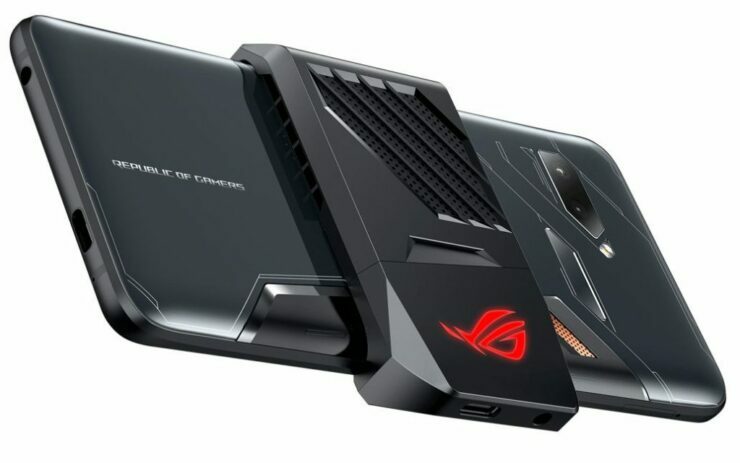 ASUS attended the Computex 2018 trade show and apart from announcing its usual list of desktop-centered components, one of the highlights of attending the trade show was a first look at the ROG Phone (check out our exclusive coverage here). It featured an overkill design and was running the fastest variant of the Snapdragon 845, running at 2.96GHz thanks to an advanced cooling solution. However, ASUS is surely not going to be stopping here and even though the company might not have teased the successor, which could be called ROG Phone 2.0, a content creator gives us a glimpse of what to expect. Concept Creator is well known for teasing next-generation products, even though they might not necessarily end up being like what the manufacturer envisioned. Still, a teaser concept might give ASUS some ideas as this 45-second long video demonstrates a few things about the potential ROG Phone 2.0. One of the more interesting things that were caught in the teaser was a sliding earpiece if we’re not mistaken. We’re wondering why this approach would be taken in actuality. It could be done to minimize the bezels and bring up a selfie camera if ASUS has plans on reducing the bezels on its ROG Phone 2.0. Additionally, if there is a successor, then it will undoubtedly feature Qualcomm’s Snapdragon 855, made on TSMC’s 7nm architecture, resulting in at least 20 percent better performance when compared to the Snapdragon 845. However, if ASUS employs an advanced cooling solution in the ROG Phone 2.0 too, which could see ‘higher than default’ clock speeds running on the smartphone, resulting in better gaming performance. It is also possible that ASUS incorporates 10GB of RAM in the successor. The company was reportedly trying to feature this much RAM in the Snapdragon 845-fueled powerhouse but ran out of space. Hopefully, the upcoming ROG Phone 2.0 will not have to suffer from these limitations.